Virtual Legal was created to provide access to legal services to consumers regardless of where they live or what they earn. 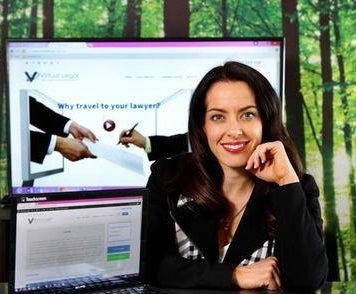 Katie Richards founded Virtual Legal in 2013 after a well-rounded career as a transactional lawyer for corporations like Domino’s Pizza, GE Mining, National Australia Bank, Price Attack and Ecowash Mobile International, along with several years in private practice. As a child, Katie grew up in a small country town where there was only one lawyer in town and his services were only accessible by the wealthy families, and even then, the lawyer could only act for one of those families in any dispute. Therefore, most people were left to fend for themselves. The ingrained thinking was that one did not have the ability to change the cards they were dealt in life. Katie’s passion in life has always been to help people help themselves, whether this be showing fellow students how to study more effectively, live a healthier life or think in way that is more productive and positive. In June 2013, Katie set about building a system that would provide access to legal assistance through the use of an online portal which provided education, documentation and fixed fee legal services for transactions. 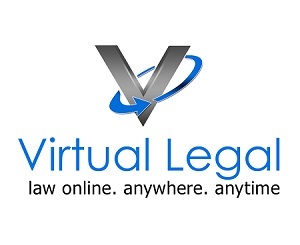 Virtual Legal now has a formidable team of lawyers and paralegals between Australia, New Zealand and the Philippines, some working from the corporate office in each country and some working remotely. Systematisation, automation and workflows have been key to creating efficiencies for our team so we can spend more time speaking to our clients, rather than typing documents. And each team member is trained in behavioural identification so that we can provide a specialised service to each and every client that is more suited to how you like to provide and receive both oral and written communication. Working in the online space requires a few more considerations than a bricks and mortar set up. Firstly, we will require you to sign an Electronic Consent Form at the start of the matter and provide us with a copy of your identification so that we can be sure you say you are who you are when we set up your electronic file. We will then create your online profile so that you have access to your documentation and a live update on your matter 24/7 from wherever you may be in the world. This online portal links to the back end of our electronic system so you can feel in control of your transaction and easily provide other parties with documents as and when you require them. We will correspond with you via email, the online portal and by telephone. We will also ensure that other key stakeholders in your matter (i.e. your broker, agent, accountant) are kept up to date with developments, unless you advise us otherwise. Once your matter is complete, you have the comfort of knowing you have access to your documents stored in the online portal in case you misplace the copies we provide you with. Using an online law firm has the advantage of allowing you to manage your affairs without wasting money and time on travelling to a law firm and paying for parking. Your time is valuable and we want to make things easy for you.